‘Scuse me while I nerd out, but Superman is my favorite hero. 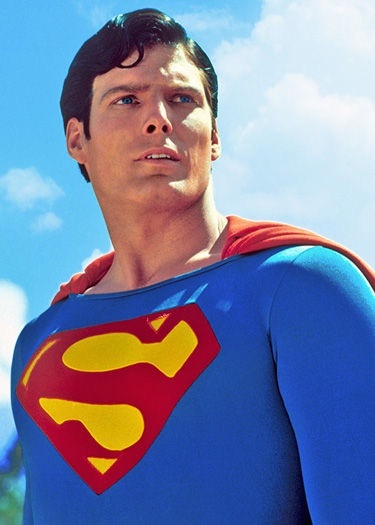 With it raining comic book movies, I find myself ruminating on why Superman has held my and the world’s attention. Let’s get back to the fake world. On the high school campus of comic book heroes, Superman is starring quarterback. Most Likely to You Name It. We’d call him Captain America if the title wasn’t taken. He’s pink-faced and wholesome, upbeat, fearless. Not to mention secure in his manhood to don such a costume. We know what makes him ‘super’. Or do we? The first thing you think is red sun, gravity, dense molecular and so on (you thought I was kidding when I said ‘nerd out’, huh?). But a good question to ask is – what makes a hero in the real world? One firefighter might bench 300 pounds, while another does 250. But if both of them run into a burning building, who gets more hero points? At this point we realize that physical strength has nothing to do with it. We don’t praise them for how much they can lift – it’s their moral strength, their willingness to overcome their fears and do the right thing, that makes us cheer. But Superman’s impervious to fire. The wretched dwellers of the Marvel universe would kill for his optimism. And there’s no way he could out-emo Batman. Why would he need to? He’s gorgeous, universally adored and incapable of failure. Kryptonite schmyptonite. And he just so stinkin’ nice. Sure we like our conflicted, brooding Heathcliffs. Making heroes more human has also kept them marketable. So how has Superman, like some supervirus, resisted the attempts to make him over? Because, like the planet from whence he came, he is millenniums ahead of his fellow crusaders. It’s not the steel-bending or limitless speed that makes us love Superman. It’s the fact that this guy with every imaginable trauma thrown at him makes a choice. Instead of wallowing in angst and self-pity, instead of obsessing over all that was taken from him, he picks himself up, puts on his cape, and saves the world. Someone who could have been the ultimate victim chose to be the ultimate hero. Grief counselors tell us that exercise, community involvement and helping others will see us through a loss. That’s just what Superman does. And all with that cute little curl. I think the creative team behind ‘Man of Steel’ need to realize these sentiments. Their take was OK, but they obviously didn’t know who Superman truly is. He is an all around good guy~and there’s nothing wrong with that. You nailed it. I like Henry Cavill better than Brandon Routh, but I think the best of comic book movies are behind us. I don’t know… Marvel has been on a roll. Always exciting to see what they’ll do next. DC is the one that’s tripping over their own flippers.